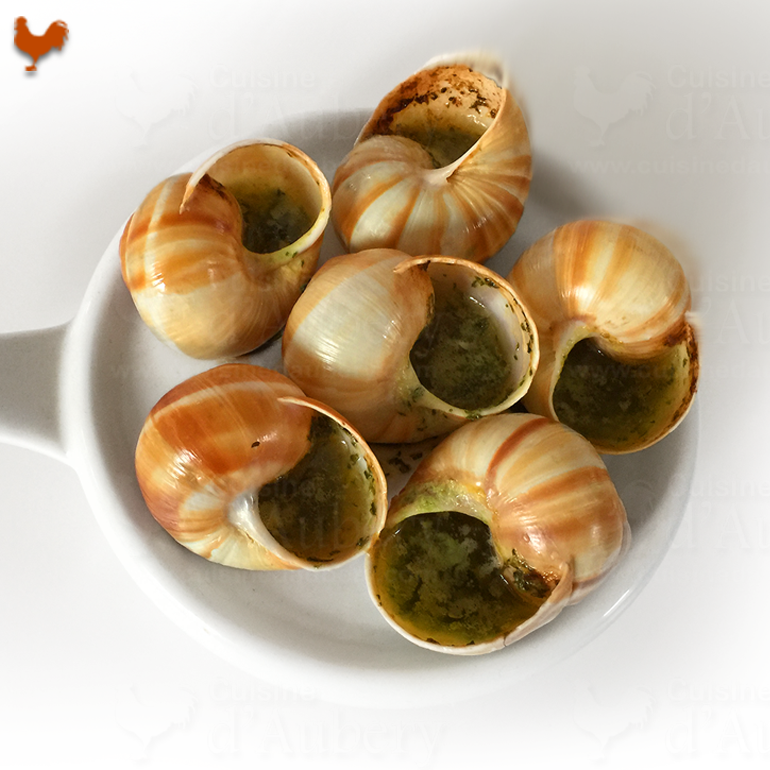 Hi Caroline : I never ate snails by itself, and I'n not sure it's a wonderful taste : Hence this recipe that French chefs made : The taste of garlic and parsley with butter really overpowers the other tastes here. So you will taste primarily garlic and parsley. The snail "meat" is more chewy than chicken for sure, but in the end, it's a first course type of dish that French eat only on occasions like end of year. My mother was a cook for a French Countess for many years and at her request always put a teaspoon of Pernod in the butter mix. It is delicious . Yes, I can see how this would make a difference ! Cooking with the same Chef ? Cooking with the same ingredients ? However, I like to cook Escargots on occasion, for friends and family, and I found out that for a recipe that seemed so simple, there are actually a few tricks to know, that I share here.Thanks to Julia we now can cook great Escargots ! This is a recipe of Julia Child. Julia spent many years in Paris and discovered the French food, and upon attending the Cordon Bleu, learned about French cuisine techniques. After she moved back to the United States, Julia Child wrote her book "Mastering the Art of French Cooking", a masterpiece that is still a best seller that you still can find nowadays in all bookstores in the states. What an impressive undertaking ! In fact, the book was written with two French ladies, Simone Beck and Louisette Bertholle. These three ladies met in Paris and started an informal school "L'école des trois gourmandes" (The School of the Three Food Lovers). When Julia appeared on television, she kept the same name on a sticker on her chest. After writing her book, Julia appeared on American television in a series called "The French Chef"
I learned about Julia Child quite late : While I was living shortly in Pasadena for a class at the Cordon Bleu, my teachers mentioned Julia and her book. Coincidence: Julia lived in Pasadena and studied at the Cordon Bleu (but that in Paris). You probably saw the movie about Julia Child "Julie and Julia", starring Meryl Streep et Amy Adams. A movie that you must see, I insist !. The house of Julia, in the movie, is not 'rue de l'université' as I told you earlier, the movie location was a bit further, and of course I had to see it as well, as I enjoyed very much the movie ! This dish was in fact first described in a 1825 book, by the French cook Borel ("Nouveau dictionnaire de cuisine” ). You may use a spoon, but it's not as clean as the TXT_PADNote: Look at my sad face on this image filling with a spoon, and at the happy face on the previous image working with the Pastry Bag... Just goes to show you : spooning is hard, using a Pastry Bag is easier ! And here's what happens when the batter is too liquidy, I warned you... it's pretty bad, he ? And with the right texture of the batter, the result is much better ! 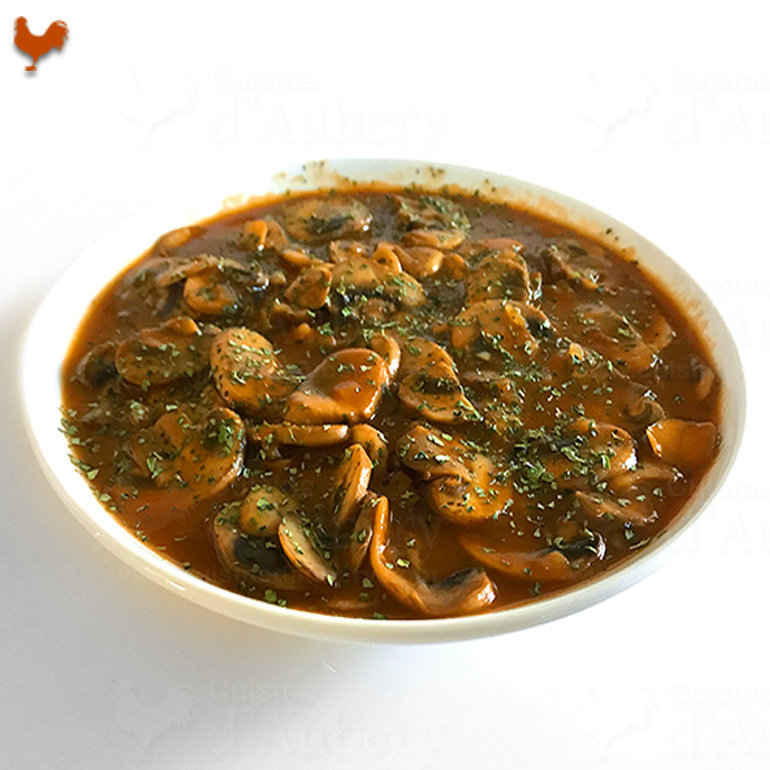 With a batter that is just creamy but not liquidy, you will fill the shells more easily. Nice, clean and sweet ! Ready to be savored !